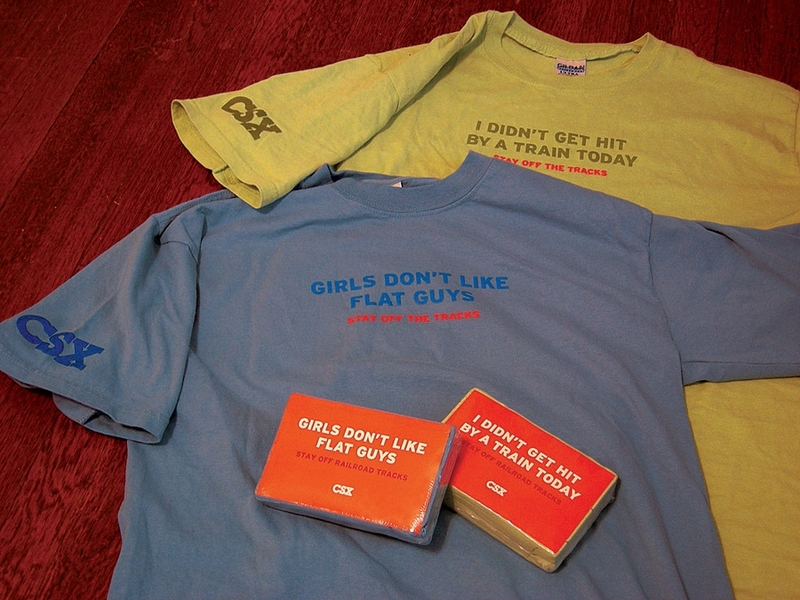 We're thinking the CSX headline for a college student focused railroad track safety campaign "Girls Don't Like Flat Guys" would have worked much better as "Guys Don't Like Flat Girls." But, then again, we wouldn't want to be sexist or break any political correctness rules now would we? Nope. Let's just twist that headline around from what we know was originally conceived to be the "Flat Girls" version and we'll be all good with the client and bitchy cause groups that can't take a joke. Along with that unfortunately manipulated headline are drink coasters which read "If you're thinking about walking on the tracks, don't" accompanied by the image of - oh, the horror! - a squashed fly. There's also a card with the image of a CSX freight train on the front and the statement "Trains don't make a asound when they come up behind you" on the back. That is if you're deaf. One of those Exit agencies did the work. I think they were trying to play with "Girls don't like FAT guys." Being a former fat guy myself, I can attest to the veracity of that statement.